Keep your Samsung Galaxy S10e protected and within reach with the black Encased SlimShield Belt Clip Holster Case. Manufactured to handle impact and abrasion, this case features a solid-core polycarbonate frame. 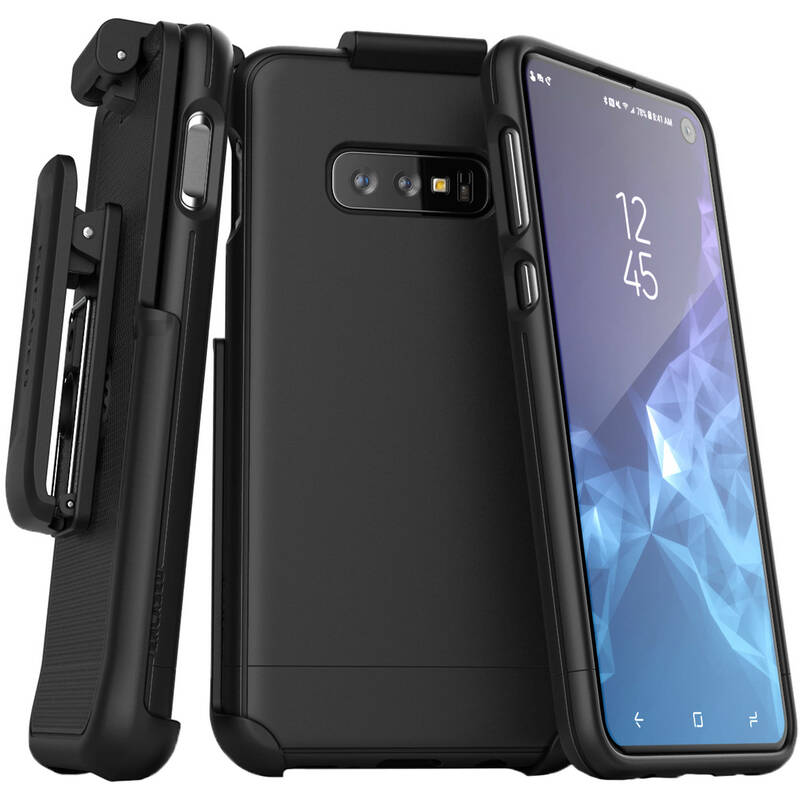 With its 2.4mm full perimeter armor frame and pocket-friendly design, this case is tougher than its slim design portrays. With its solid-core polycarbonate frame and non-slip rubberized grip finish, you can securely holster your device with ease. The inside of this case has a soft, microfiber lining, which adds protection for inward facing screens. Additionally, full port and button cutouts provide easy access to all functions and controls and a built-in kickstand allows for a hands-free viewing solution. Raised lip guard keeps the screen raised off the surface. The rotating belt clip holster allows you to clip and place your S10e in a horizontal or vertical position. Your phone is securely in place and can be easily removed thanks to the spring-top, quick release design. Box Dimensions (LxWxH) 7.9 x 4.75 x 1.4"